Obesity is associated with increased risk of type 2 diabetes, cardiovascular disease, metabolic syndrome, fatty liver disease and certain forms of cancer, as well as reduced quality of life and increased mortality. However, many of these same conditions also are linked to decreased fitness. Consequently, there is much debate about the relative roles of body weight and fitness indicators in determining the risk of the aforementioned cardiometabolic diseases. This debate was fueled with the U.S. Centers for Disease Control-published meta-analysis in 2013, which suggests that individuals with a body mass index (BMI) <35 do not exhibit higher mortality risk compared with normal weight subjects. Furthermore, we know that higher levels of adiposity are correlated with increased mortality, although fitness also attenuates this association. Ultimately, it is critical that we understand the true underlying contributors to disease risk and untangle these factors from others that, although traditionally thought to be important, are secondary to the true primary factors. To accomplish this we need innovative approaches in how we look at the roles of body weight, obesity and weight loss in the context of health and disease. To date, there has been a general focus on cardiorespiratory fitness and its comparison with weight status in the context of mortality risk. Because strength training can often lead to increases in body weight, there is the possibility that those who present as “overweight” or “obese” may display healthy cardiometabolic phenotypes despite their weight status classification. We designed a cross-sectional study to investigate whether overweight/class I obese individuals exhibiting high muscular strength display cardiovascular and metabolic phenotypes similar to overweight/class I obese, untrained individuals or normal weight individuals with high strength fitness. In our study, as reported in the June 2015 issue of MSSE, young adult men (ages 18-30) were categorized into three phenotypes based on training status and BMI. Normal-weight trained (NT) subjects performed =4 d/wk of structured strength training and had a BMI <25 kg/m2. Overweight trained (OT) subjects also performed =4 d/wk strength training and had a BMI >27 kg/m2. Finally, overweight untrained (OU) subjects performed no structured exercise program and had a BMI >27 kg/m2. Thus, two groups exhibited similar strength training frequency and two similar body weights. Using this design, we set out to shed light on two aspects related to the fitness and body weight conundrum. The first was whether the strength-trained groups, NT and OT, would display better metabolic and cardiovascular phenotypes compared to the OU group. The second was if the strength-trained groups with similar strength fitness levels, would exhibit similar metabolic and cardiovascular phenotypes, despite higher weight and fat mass in the OT group. As young individuals are at low risk of mortality, we used a variety of phenotypes associated with disease risk, including central and brachial blood pressures, indices of arterial stiffness, serum lipids, inflammatory and metabolic markers, and steroid hormones. Our findings indicated that overweight/class I obese and normal weight individuals who are both strength-trained exhibit remarkably similar cardiovascular and metabolic phenotypes and both better than overweight/obese untrained individuals. Interestingly, the similar phenotypes in the OT and NT groups were present despite the elevated body fat mass in the OT group. This new evidence challenges the existing view of the importance of body weight classification per se and suggests that strength fitness may have more influence on metabolic and cardiovascular health than previously appreciated. Furthermore, strength fitness may be an alternate therapeutic target, especially in those unable to normalize body weight. Ultimately, it may be time for a paradigm shift in how we think about the relative roles of fitness and body weight in the context of health. 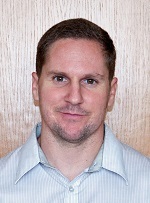 Christian K. Roberts, Ph.D., FACSM, is an integrative exercise physiologist, and his research investigates the efficacy and mechanisms by which exercise training and diet interventions prevent metabolic diseases, including cardiovascular diseases and type 2 diabetes, as well as the impact of metabolic health improvement independent of obesity reversal. He has been a member of ACSM for 20 years. This commentary presents Dr. Roberts’ views on the topic related to a study which he and his colleagues recently completed. Their research report appears in the June 2015 issue of Medicine & Science in Sports & Exercise® (MSSE).